Bejaia (Algeria), July 30, 2018 (SPS) - Algerian Minister of Tourism and Craft Industry Abdelkader Benmessaoud on Sunday paid a visit to Sahrawi children who are spending their summer holidays in Bejaia, Algeria. The Algerian minister who was accompanied by the governor of Bejaia, members of the Municipal Council, executives of the Directorate of Youth and Sports in the province, and parliamentarians of different Algerian political parties, went about the summer center that houses the Saharawi children and listened to detailed explanations about the good conditions and treatment received by the Sahrawi children. During his meeting with the Saharawi minors and their monitors, the Algerian minister renewed Algeria's firm position of support for the just cause of the Saharawi people. For his part, the Saharawi coordinator of the summer camp informed the Algerian minister and the accompanying delegation about the latest developments of the Sahrawi issue. At the end of the visit, the Algerian minister and the delegation accompanying him presented the Sahrawi children with gifts. It is worth mentioning that more than 900 Sahrawi children are spending the summer holidays in Algeria distributed in 12 tourist centers. 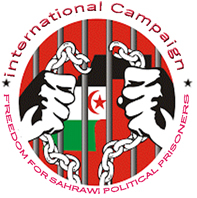 The summer program is supervised by Saharawi Exploration Organization in coordination with the Saharawi Embassy in Algeria and the Algerian Committee of Solidarity with the Saharawi People.